A lot of times out of ease and habit, I end up making the same things over and over. I don’t have to think (much), I know what to do, and I know what I like. But today, we made something a little different for our family and I’m so glad we did. 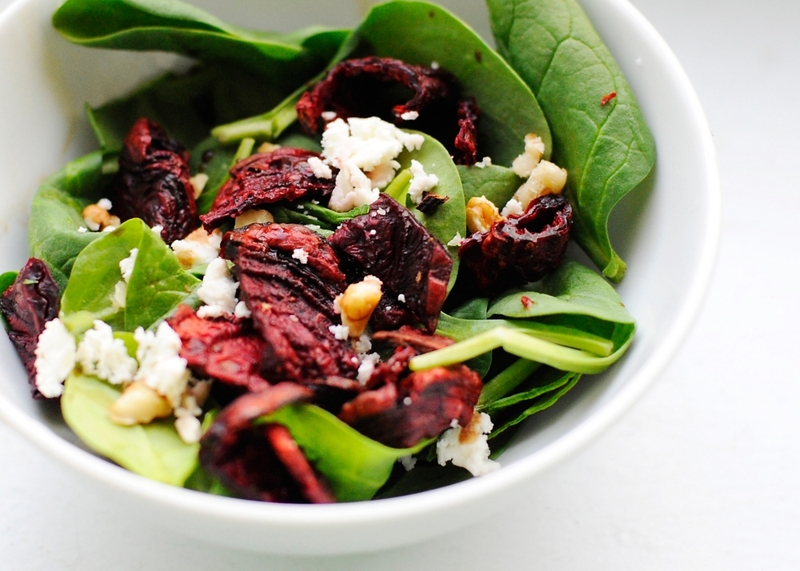 Growing up I was never a big fan of beets (along with many other things that I now love!) so thought it was time to try them again. And, after reading what a super food they are, (NY Times article listed them and #1 food we should be eating) how could we not at least try them again? Beets are also a source of heart-healthy folate and a great source of the antioxidant manganese and heart-healthy potassium. They contain dietary fiber, free radical scavenging vitamin C, copper, magnesium (good for bone health), and energy-producing iron and phosphorus. They are full of vitamins A, B1, B2, B6 and C. They are also a wonderful source of calcium, magnesium, copper, phosphorus, sodium and iron. 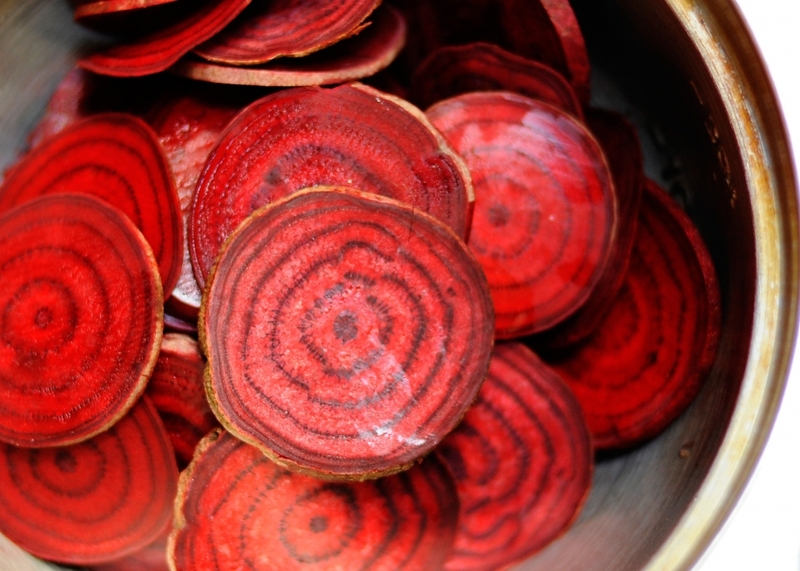 Beets also contain choline, folic acid, iodine, organic sodium, iron and fiber. That’s a lot of stuff in one little beet! And of course, I roasted them! 2. 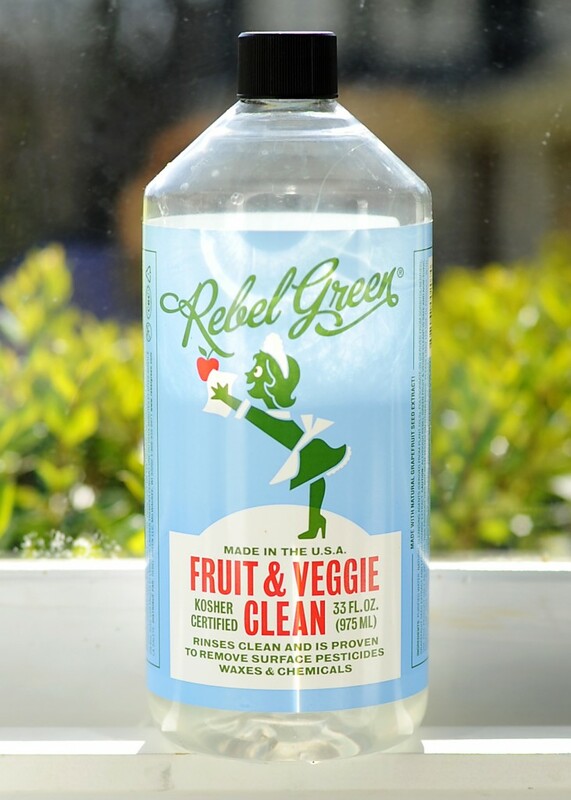 I cleaned them really well with a brush and some Rebel Green from Whole Foods (see above). This stuff is great. 3. Cut off the tops and bottoms and then slice with your awesome mandolin (best $18 ever spent) in about 30 seconds nice and evenly. 4. Mix in a bowl with melted coconut oil or olive oil. 5. Add some celtic or himalayan salt. 6. Lay flat on cookie sheet and let cook 10 min one side and then flip and cook another 10 minutes (or a little darker red). 7. 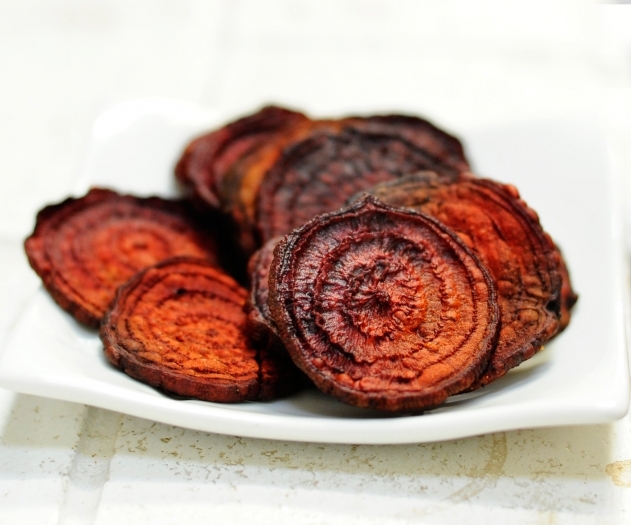 Turn stove off and allow beets to sit in the stove another 20 or 30 minutes but check on them to make sure they aren’t burning. 8. Garnish with feta and walnut or eat plain and enjoy! Oh and back to making the same old thing talk. Well, my lesson here is you don’t have to do something so completely new. Just mix it up a little, which is what I did. 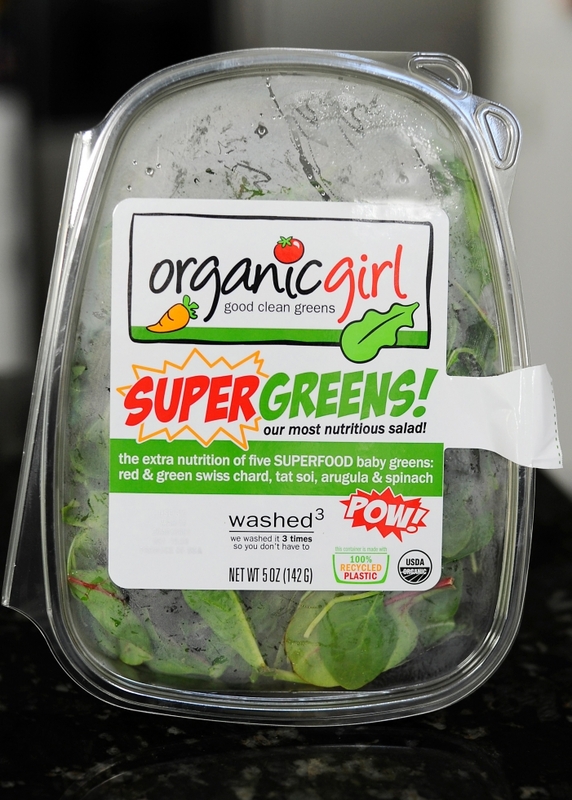 I had some beets left over and I cut them up, threw them in my usual chicken sausage salad, used these super greens below (to go with my super beets!) instead of my regular spinach, and it awesome!!! I need to remember variety doesnt have to be so hard, or different or complicated! kell - hi! i just found your beautiful blog and i love it!! thanks for all the recipes and healthy ideas! !